Best-games-directory.com is a strictly human edited gaming, lottery, casino, roulette, poker, sport betting, bingo, scratch cards, and other related entertainment activities directory. Our main goal is to maintain the highest possible quality of this directory. We review manually every site that is submitted, to reduce spam-my submissions that are associated with other directories, which use automated submission procedures. You will find submission form, at the bottom of this page. However, please do not think that we approve all sites that want to be included in our directory. We reserve the right to refuse the listing of any site, at our sole discretion. Submit your site for free regular listing. Reciprocal link back to us, required. There are available one-way regular listings (without reciprocal link required) and featured listings, on paid basis. Please visit Submit Featured Listing for more details. Free regular listing is placed only on the most appropriate sub-category page, of our games websites directory. Listings are non-refundable and non-exchangeable for another listing. To submit your site - firstly, please visit Directory Categories page and choose your appopriate listing sub-category. We are sorry for any delays, as we do manually everything in this directory. Thank you. Please kindly read the guidelines set out below. This list will help you understand our quality standards. Website must be in English or with English language option. Website must be games, gambling, lotteries, casino, bingo or similar entertainment-related. Please visit our dedicated page: directory categories, which list all top categories and subcategories. Deep-links allowed (if URL points to content-rich subpage). Multiple listings allowed (if the topic of the page match the category or subcategory relevance). Multiple listings on pay basis only. No multiple free regular listings allowed. No pornographic content, offensive or hate related content or links. Submit your site to the most relevant sub-category. This is information for free regular listings. Please do not use ALL CAPS and do not capitalize the first letter of every word, in descriptions of your site. We reserve the right to edit site titles and descriptions, to suit our directory requirements. Site must be not under construction. Sites with little content or made only for advertisements, will not be considered. Your site cannot redirect the visitors to another site. Domains parked for sale are not considered. All sites listed, but with domain parked, will be removed. We may not be able to list your site if your site contains excessive pop-ups, under-pops, forced downloads, hidden text or other similar situations. Please include link back to us on your website. Please use the information below. Description: Best Games Directory is comprehensive source of information for visitors looking for gaming and gambling-related consumer information. 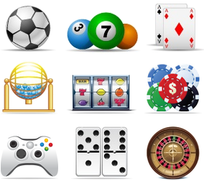 We also list quality websites related to lotteries, bingo, gaming, casino, sport betting and similar topics. We reserve right to ask you to move our link to the other page of your website, if the placement of our link do not suite our requirements. Thank you.